On many occasions, women have been asked to register for the Benazir Income Support Programme (BISP) along with their original Computerised National Identity Cards (CNICs). According to a local media report, three months ago in a village in Sahiwal, up to 800 women came to register for BISP where their CNIC copies and biometric details were collected. Following this, a resident Muhammad took his wife Asghari Bibi to Okara in order to get a SIM issued to her name. After being denied issuance, the telecom company representative told the couple that there were already nine SIMs issued under her CNIC. It was further reported that the couple’s lawyer Siddique Baloch said that “the women’s data was fraudulently taken by three people — Taj Muhammad, Tariq Hussain and Khalid Hussain — in the guise of the BISP registration. Of the three, Taj and Tariq are in police custody after the villagers approached police for a probe into the matter”. Moreover, another resident Imran Baloch was quoted in the local media report saying that “multiple SIMs were issued under random women name even though they have no mobile phones”. 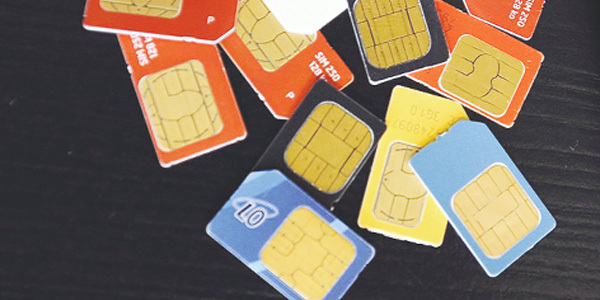 Most of the SIM cards have been issued from a Chinese telecom company. Following this, the police registered a first information report under sections 468, 420 and 471 of the Pakistan Penal Code.